Silver Creek Sporting Club offers Trap shooting as well. Trapshooting is a specific form of clay target shooting and is designed to simulate the flushing game bird, with the target launched flying away from you. 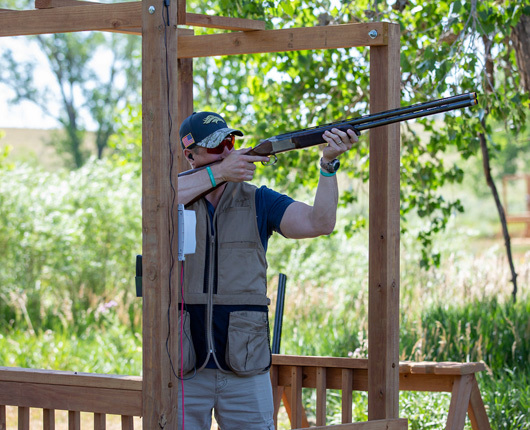 Trapshooting is a game of movement, action and split-second timing. It requires the accuracy and skill to repeatedly aim, fire and break the 4 1/4 inch disc which is hurled through the air at a speed of 42mph. The field layout provides the shooter with 25 flushing targets, creating an exciting challenge from five different shooting stations.